Conservationists and environmental scientists are used to bad news. So when there’s some really good news, it’s important to hear that as well. 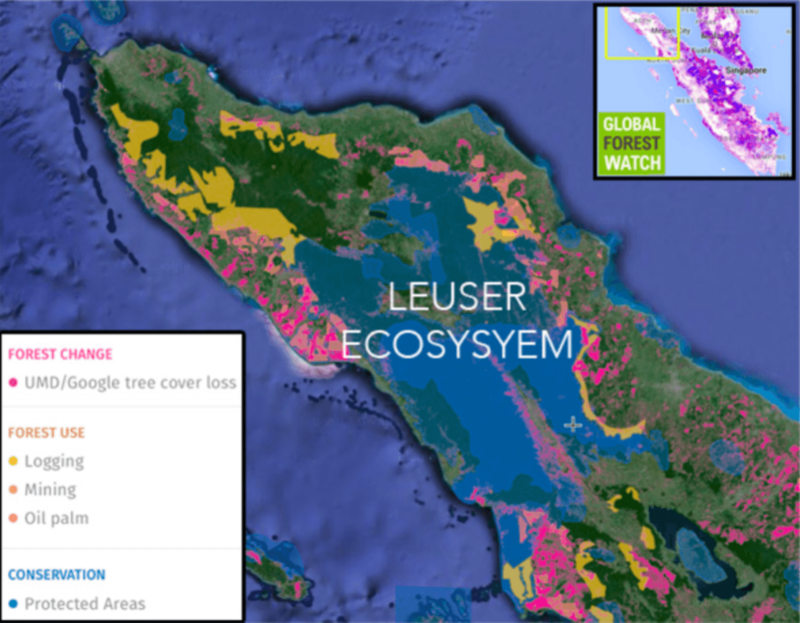 While the battle is far from over, there has been a series of breakthroughs in the long-running battle to protect the imperilled Leuser ecosystem in northern Sumatra, Indonesia – the last place on Earth where tigers, orangutans, rhinoceros and elephants still live alongside one another. The government of Aceh Province – which controls most of the Leuser ecosystem and has been subjected to withering criticism for its schemes to destroy much of the region’s forests for oil palm, rice and mining expansion while opening it up with a vast road network through the forest – has agreed to a moratorium on new land clearing and mining. This is huge news, and it’s clear that both the international community and Indonesia’s federal government have played big roles in making this happen. Indonesian President Joko Widodo deserves a great deal of credit for this accomplishment, which he has been pushing for many months, not just in Aceh but elsewhere in Indonesia too. It is the culmination of an almost three-year battle by the Alliance of Leading Environmental Researchers and Thinkers (a scientific group I founded and lead) as well as many other dedicated researchers and conservationists. 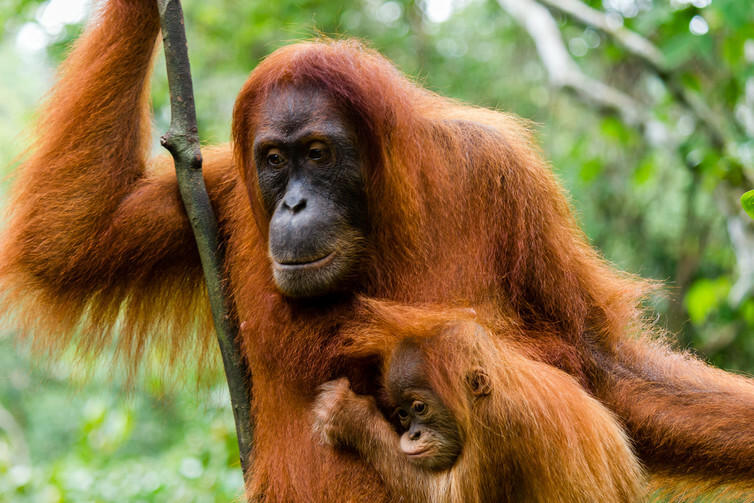 Sumatran orangutans have lost huge areas of forest habitat. Moratoria can always be cancelled or weakened, but the chances of that happening seem increasingly remote. In a speech at last month’s signing of the Paris climate agreement in New York, Indonesia’s environment and forestry minister, Siti Nurbaya, underscored her commitment to the Leuser moratorium. It seems unlikely that she would make this statement at such a high-profile event if there were any significant possibility that the moratorium will collapse. And the news gets even better. Last week, Aceh’s deputy governor, Muzakir Manaf, declared that he will provide full support for ground-level measures needed to enforce the moratorium. That is critical, for two reasons. First, it shows that the Aceh government is strongly behind the moratorium. Second, a moratorium is just a piece of paper unless there is real on-the-ground enforcement to ensure that illegal land-clearing, poaching, mining and other activities don’t continue unabated. A final piece of good news is that Nurbaya has confirmed her intention to halt completely the granting of new permits for oil palm plantations in state-owned forests right across the country. To be clear, this doesn’t mean that oil palm plantations won’t keep expanding in Indonesia. There are thousands of existing permits encompassing many millions of hectares of native forest. Indeed, Indonesia has previously announced plans to clear a further 14 million hectares of native forest by 2020, mostly for oil palm and wood-pulp production. But at least it means that the avalanche of new oil palm permits is coming to an end, for which both Widodo and Nurbaya deserve credit. 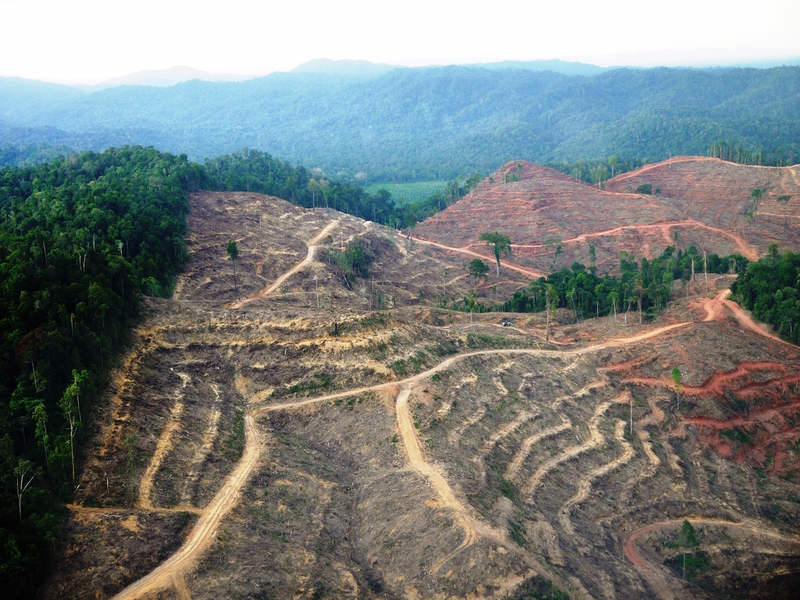 Rainforests being felled for oil palm in central Sumatra. The fight to conserve Indonesia’s mega-diverse forests is far from over. The nation’s plans for massive road, dam and mining projects – many in forested areas where they can open a Pandora’s box of problems such as illegal poaching, logging and forest burning – is enough to frighten even the most sober of observers. 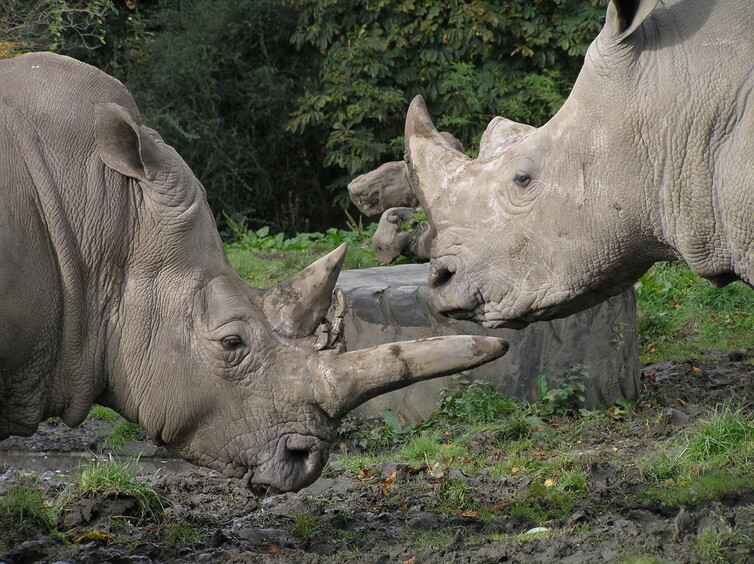 Fewer than 100 Sumatran rhinos survive in the wild, making it one of the world’s rarest species. But for today, at least, we can celebrate a very significant victory for conservation, and give credit to the many people who have worked to raise the profile of Leuser, including the actor Leonardo DiCaprio, who visited recently. Few have had more impact than Ian Singleton, director of the Sumatran Orangutan Conservation Program. 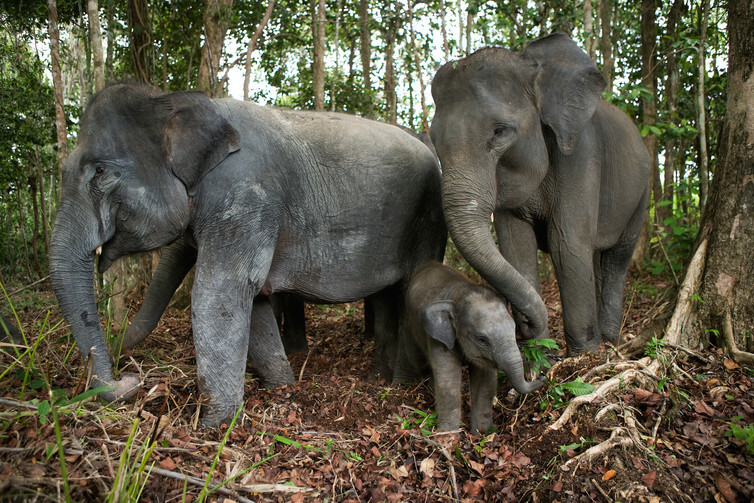 In a recent interview, Singleton laid out a remarkably compelling and detailed argument for saving Leuser, and for the surprisingly limited economic benefits its exploitation would generate for the local Sumatran citizens. The economic and environmental think-tank Greenomics Indonesia also deserves a big round of applause for its efforts to facilitate this groundbreaking achievement. But while we’re congratulating ourselves and others, we shouldn’t forget to keep a close eye on Leuser to ensure the promised moratorium really does take effect, and that one of the most important wild places in the world still survives. This is an edited version of a blog post that originally appeared here.